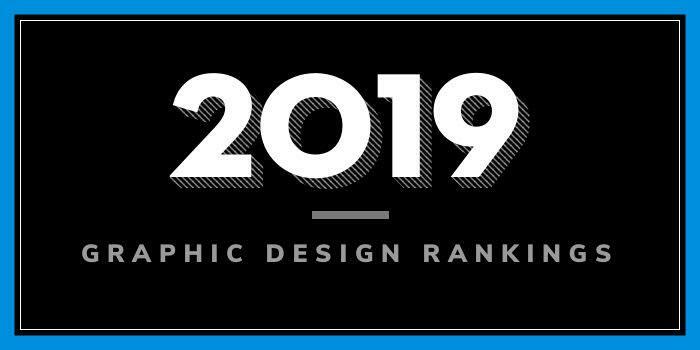 Our 2019 rankings of the top 5 graphic design school programs in South Carolina. For an explanation of the ranking criteria, click here. Founded in 1801 as South Carolina College, the University of South Carolina (USC) Columbia campus is one of eight college campuses in the University of South Carolina system. The school serves 34,795 students enrolled in hundreds of areas of study through 16 colleges and schools. The College of Arts and Sciences houses the School of Visual Art and Design, a comprehensive school for the study of the studio arts, including graphic design and media arts (film, video, animation, game design, and new media). Here, students can earn a BA or BFA in Studio Art with a Concentration in Graphic Design. MA and MFA degrees in Studio Art are also available, as is an MA in Media Arts. All students (BA, BFA, MA and MFA) will have access to 4,000 square feet of studio and shop space, internship opportunities and study abroad experiences. Founded in 1886, Winthrop University serves just over 5,800 students enrolled in 43 undergraduate and 22 graduate degrees with more than 100 programs of study offered through concentrations and options. Programs are offered through five academic colleges including Arts and Sciences, Business Administration, Education, University College, and Visual and Performing Arts. The BFA program requires 120 credit hours of study including a combination of General Education courses, Design, and Visual Communications (VCOM). Course highlights include Corporate Identity, Design and Color, Design Concepts, Graphic Arts Production Practices, Graphic Design, Typography, Visual Communication Seminar, Visual Thinking and Symbolic Communication, and Web Design. Students will take Professional Portfolio and Practices as well as a Senior Thesis and a Professional Internship. Charleston Southern University (CSU) was founded in 1964. The school serv es nearly 3,500 students enrolled in more than 80 undergraduate, graduate, doctoral, and online programs through eight colleges and schools. The College of Humanities and Social Sciences houses the Communication and Media Arts area, which offers a BA and a Minor in Graphic Design. The Graphic Design Program “prepares students for a broad variety of careers in the field of design,” says the school. The program begins with “modest studio art skills,” followed by instruction in the school’s Mac Labs where students will “master many programs within the Adobe platform. This includes Photoshop, Illustrator, InDesign, Dreamweaver and more.” Other courses include Business of Design, Digital Illustration, Digital Imaging Editing, Drawing, History of Design, and Visual Communication. During the Junior and Senior years, students may declare a specialization in a particular area of design. This might include Print Design, Illustration, Web Design or Photography. Other program highlights include portfolio development courses, the opportunity to visit real-world design agencies and hear from guest speakers who are respected professionals in a variety of creative industries, and internship opportunities. Lander University was founded in 1872 as a college for women. Today the schools serves a co-ed population of approximately 3,000 students enrolled in dozens of programs through five academic colleges, the school of nursing and the honors college. The College of Arts and Humanities houses the Department of Art, which offers a BS in Visual Arts with a Graphic Design Emphasis and a 15 credit hour Minor in Visual Arts. Per the school, “the graphic design emphasis will develop skills essential for design positions at advertising houses, in-house corporate art departments, and print and design shops.” Students may explore many areas of graphic design including corporate identity/logo design, environmental/sign, illustration, photography, production/printing techniques and procedures, self-promotion, typography, and web design. Students will have the opportunity to complete an internship and they will graduate from the program with a professional portfolio.